For the last few months my husband and I have really been struggling with family scripture study. We don't have a problem remembering to do it. Our problem is how to keep it from degenerating into total chaos and mayhem which ends with someone throwing a tantrum in the middle of the floor... and it isn't always a child. It is hard for me to admit that I dread family scripture "study" and every morning I wonder why in the world we keep doing it if no one ever pays the least amount of attention. When I went to the LDS Holistic Living Conference several weeks ago I went to a lecture about how to have an effective family devotional given by Diann Jeppson, one of the authors of "A Thomas Jefferson Home Companion". After her lecture I realized that my husband and I had been going about family scripture study in completely the wrong way. When we first got married our routine was to read a chapter together every day from the Book of Mormon and then discuss what we had read. After we had children we still held to the same pattern and each morning would read, wrestle, bellow, and time-out our way through at least a column of verses. Yet in her lecture Diann Jeppson said that since children love stories the best way to read the scriptures with them is to focus on understanding the significant stories instead of trying to read straight though a book of scripture. She suggested getting a large print version of the Bible and the Book of Mormon (like the ones sold here) and then going through and marking the main stories in them. She has even made a list of biblical highlights for young children so that it is easy to go through your Bible and Book of Mormon and mark the stories. Then she suggested that each day during family scripture study you just read the next highlighted story, focusing on talking about what is going on, what lessons are being taught by the story and how the young children can apply the story. She also suggested using the gospel art kit as a supplement so that when you read a story you have a picture to go along with it. She also emphasized the need to read the ACTUAL scriptures with children and not just to read them the scripture readers or other books that summarize the stories. She said that it is so important that young children become familiar with the language of the scriptures. If children don't learn how to understand and read the language of scriptures it handicaps them as teenagers and adults. They aren't able to understand the doctrine behind the passage because they can't get past the unusual language and rhythm of the scriptures. She said that while the scripture readers are good supplements they shouldn't replace the actual scriptures. After hearing Diane Jeppson's lecture my husband and I drastically changed how we did family scripture study and it has been a MIRACLE at how wonderful it has been going. The first thing we did was to pull out this book that my sister gave us for Christmas a few years ago. Every morning I just skip ahead to the next page in the book that has a picture or a good story on it. 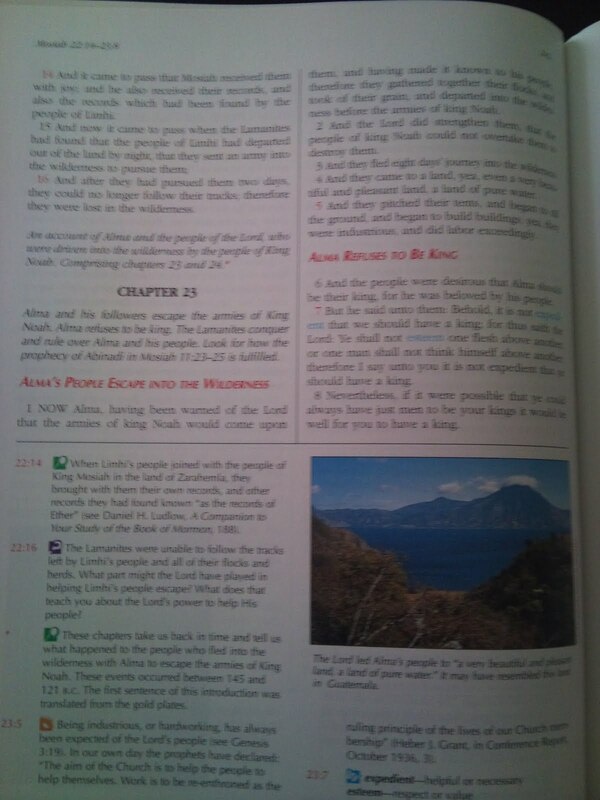 Then we read a section of scriptures and talk about what is happening in the story. Since my kids can't read yet we just have them repeat back to us one verse. This book has really been wonderful for our family and there are other ones for the Old Testament and the New Testament which I think we might get in the future. I also think that I am going to take Diann Jeppson's suggestion and get large print versions of the scriptures and then go through and mark all the stories of women in the scriptures in them. That would sure be a fun way to do family scripture study! The other thing we did that has helped our mornings was to change our morning "scripture study" to our morning "devotional". We realized that we had already created such a negative connotation with the term scripture study in our house that we needed a whole new word. The day we started our new approach to reading the scriptures with the kids we started calling it "devotional" and it has really helped our morning morale. I am sure that our routine and approach to scripture study will change as our children get older, but for right now this has been a huge improvement for us! I feel like now we are actually "studying" the scriptures with our children on their level and having significant spiritual conversations rather than just reading a whole bunch of words. And it has been weeks since anyone has thrown a tantrum in the middle of the floor! But I am curious... What has worked for family scripture study in your house.... with little kids, big kids, or anyone in between? When our oldest was a baby, I figured she couldn't interrupt me with food in her mouth, so I began reading scriptures at breakfast while she was in her high chair. 14 years later that's still working well for us--kids eat, I read (usually a chapter, sometimes only a page)--we've gotten through the Book of Mormon several times, and last year even the Old Testament (in a more modern translation). I also like to use the Gospel Art kit during other meals (summer lunchtime) to just pull out and refresh a quick story--good for toddlers. Thanks for sharing great ideas! i love this idea, thanks!!! Thank you for this post. I have young children (4, 3 and 1) and it is a challenge as you say. What we started doing was read 4-5 verses only, have the children repeat the words and leave it at that. The simpler the better. But I liked your point about teaching the stories, not just reading the verses. It is important to have both. I am so grateful that you wrote this. I have always struggled with the best way to read the scriptures with my children, and since Sam was diagnosed with autism, this sort of thing has been a real concern of mine. I desperately need out of the box ways of teaching the gospel to him. 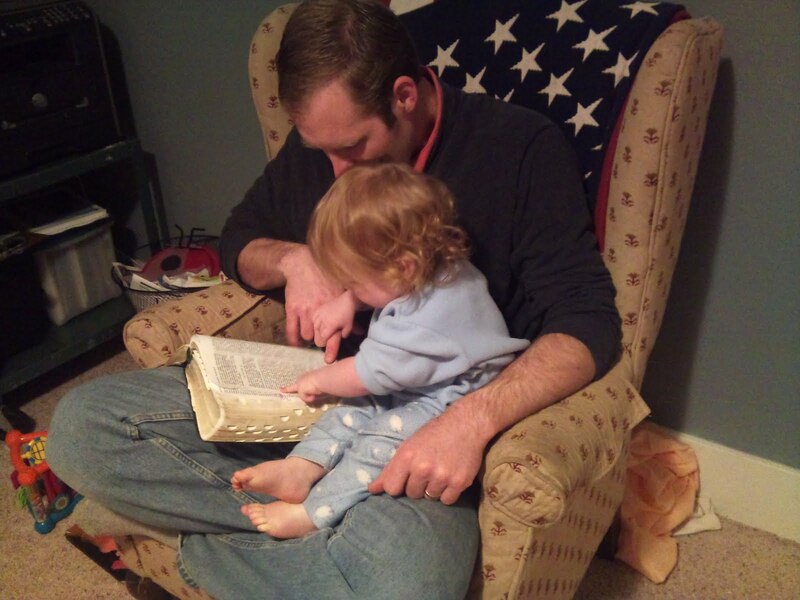 Getting him to sit through ANY book can be a real struggle, so you can imagine the difficulty with scripture study. But it is so important and you have given me some great ideas--you've gotten the wheels in my head turning about how I can make it more interactive for him. THANK YOU!!! We've found the need to adjust as our children have grown. When we have a mix of ages, we also use a mix of techniques, sometimes alternating, sometimes using multiple methods at a time. Our kids range in age from 5 to 15. For the very youngest: We use pictures from the gospel art kit. We tell the stories in our own words and work in one or two scripture verses with the story. For our toddlers: We used some early scripture readers with simple stories - again working in several more verses from the scriptures. For our elementary-school-age children: We use pictures from the books, art kit, and comic-style readers. We read the same stories they already know by heart, but use verses from the scriptures for about half or more of the story. The rest we fill in. For our older elementary children: We tell the stories completely from the scriptures skipping verses as appropriate to stick to the story line. They are reading some as they are able. For our pre-teens: The stories come completely from the scriptures. They read as much as we do - or sometimes I just read to them (I can read with emphasis which is much better than the sometimes droning voices of bored siblings). We add doctrinal verses in to our study. For our early teens: We're reading together and discussing the passages. Sometimes we only make it through a verse or two. Sometimes we get a chapter at a time. For our teenagers: Now we're teaching topical study. For example, recently we've been reading about repentance. We utilize the Bible Dictionary; the Topical Guide; True To The Faith; Gospel Principles; and General Conference Talks. But we stay anchored in the scriptures. We read the Book of Mormon as part of our bedtime routine. Each child repeats a verse and then each adult reads a few. Then we sing a few songs while we tickle their arms. They love it and are usually angels. But we have our evenings where someone is grumpy, but by the end, with the songs, most feelings are resolved and it's peaceful again. We recently added reading the stories in the scriptures readers as part of our morning routine. I think once we go through a book, or all the books, then we'll go back and read them again including the verses from the scriptures. 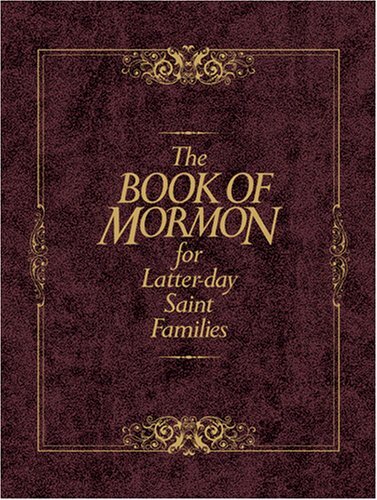 I'd also love to add the scriptures "for Latter-day Saint Families" series to our library. Ah, someday! I noticed a difference when we stopped using the readers and started using the actual scriptures - I like the idea of focusing on the stories to get the sequence down (it reminds me of Elder Bednar's talk @ scripture study that he gave at BYU). On a sidenote, my kids' reading exploded when they started wanting to read the verses themselves -- they were incentivized to sound the words out I guess. We use the Book of Mormon Stories book published by the Church (the one with the pictures and the little summaries underneath - available through the distribution center). The thing I like about this book is that it include the reference to the verses in the scriptures - so we read the verses in the scriptures, then we read the summary under the picture. That way, we get the "raw scripture" as I call it, AND we get the story without having to worry about finding a picture or summarizing it ourselves. Our children also watch the videos that the Church has published of the scripture stories books. You can view them online at http://scripturestories.lds.org (the lds.org website). My 4 year old knows all the Book of Mormon stories because he watches those videos so often. And they aren't even animated! They are still motion pictures with narration - there's not even any dialogue, just the narration. Plus, published by the Church = correct doctrine. They aren't an interpretation, and aren't intended to entertain, but to teach the stories and lessons from the scriptures. Since we have started reading the scriptures this way, it has become much easier, and the kids love to look at the pictures while we read. Sometimes we just read the verses for one picture in the whole story, and sometimes we read the entire story (depending on length and the mood of our children). Sometime we have the kids "read" (repeat after us) sometimes we just read. I think that flexibility in scripture study with small children is key. If they are antsy, or cranky, or whatever, then it is OKAY to read only one verse, or a few verses of the story. Reading the scriptures at all is much better than fighting your children through an entire story that they definitely won't remember, OR care about since they are so upset. The other key with us is to talk about the scripture stories throughout the day. We have had a lot of good discussions with our 4 year old about Nephi killing Laban. (probably his favorite Book of Mormon story... I wonder why...) We use that story to talk a lot about obeying the Lord's commandments when it is hard, listening to the Holy Ghost, and how important the scriptures are (important enough that God would tell Nephi to kill Laban so that his family could have them - and it's not normally okay to kill people). Ooh, I'm feeling inspired. I have one question though. How young did people start reading? Like before 6 months? A year? When did you start your kids? Kimberly, I started early (infant). I put the Gospel Art pictures in page protectors and just explained the picture to my baby before bed. Now that we have kids from ages 1-10 it is harder to tailor the experience to each age group. The younger kids just repeat after us a few verses while our older children read like us. We keep it short. We have little carpets we pull out for FHE and sometimes scripture time too. We place them in a circle. The little ones love having their own carpet. This last Christmas I bought a little treasure chest and put a BOM for each child with their name and picture in it. I gave it to them on Christmas Eve so that it wouldn't get pushed aside by the craziness of Christmas morning. They would get so excited at scripture time to get their "treasure" that we sometimes had to pull them apart. They love having their own scriptures. I am also going to start a program that teaches your children to read using the BOM. It is called Head Start with the Book of Mormon. I wish I knew about this before. It looks like an easy way to incorporate scripture time with learning to read. Might as well teach them to read from the scriptures. We read from the illustrated Book of Mormon Stories (that the church puts out) every night before bed. We usually get through one page and then read one of the corresponding scriptures. It's about all the attention span our boys have (6,4,2,2 months). In the past year we started having our 4 year old "read" (aka repeat what we said) one verse and our 6 year old read a short verse. It's amazing the words he can read and sound out! Words you would never think a kindergartener could read! I think it gave him a lot of confidence when it came to reading as well. Great ideas! It always helps me to hear whAt other families do. Kimberly, we started including our kids in our scripture study from the day they were born but it has not been until the last few months we changed it to be more directed at them. I dont think it is ever to young to start making it a habit and getting chilfren used to hearing the language of the scriptures. They play motzart to infants, right, to help their brains develop, i think reading the words from the scriptures is the same sort of thing! We began reading of all sorts very young with our children. Some prefer to play quietly as a toddler during this time and others have sat beside me as we read. We do two scripture studies; one as a family with dad heading it using the actual scriptures and then a morning devotional with me where we utilize the Gospel Art Kit pictures. We also have the scripture story books put out by the church, but I prefer to read the actual scripture accounts--there's just something about the language that I love. I also heard a college president say that he could tell which families came from a religious background because they could comprehend more difficult works like Shakespeare more easily than those who didn't. Regardless, I think at a young age, it's the familiarity with the scriptures that has been my goal--the understanding will come in time, but I want them hearing the language and having the habit of coming together for scripture study. I am so glad you listed the posting of the story references. I have been doing that with my kids, but trying to pull the story out on my own, and this will save me some work. Another thing we have done for our kids (5,3,1)is gone through scripture master with them and let them highlight the verses in their own scriptures. Things get a little messy, but it keeps them quiet while we talk about the meaning of the verse. It sounds like what you are doing is great. My kids are a little older, but here are some of the things we have done over the past several years. Thank you Heather for this post - so much! I have been struggling with family scripture study for a LONG TIME! This morning I picked out the beginning of the Joseph in Egypt scripture (dd1 is a big fan -- thank Donny Osmond!) we read that together this morning as a family, and while it was clearly too much for the 2yo, the 4yo is asking for more of the story tonight! I love those "for the latter-day saint family" books - they look great and I'll be asking for these for Christmas/ birthdays! 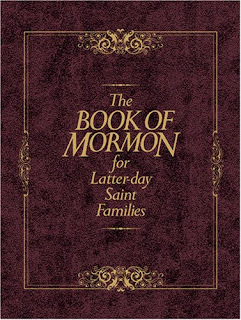 Thanks for the tip about the Book of Mormon for LDS Families-- I've been wanting to read more in "story format" for my young kids (6,5,1,1) but couldn't really figure out how to organize it on my own. That sounds like a fantastic resource. Just came across this! What a wonderful idea to tell the stories. Thanks for this! I found this post and loved it! The ideas to use stories and to especially study right from the scriptures are perfect. I hope it's ok to plug my book. It just became available on Amazon. It is written for parents to study the Book of Mormon with their kids, easily and simply.